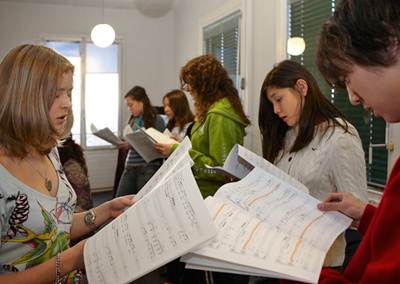 For students attending a school like Brillantmont, involving oneself in extra-curricular activities and cultural pursuits is the easiest – and most enjoyable! – way to involve oneself in school life. Choose an activity you enjoy and you’ll soon meet like-minded people with the same interests, a solid basis for any friendship. Here are just a few of the extra-curricular school activities available this year to Brillantmont students. After-school, weekend and holiday activities are an excellent way for newcomers to get to know other students, teachers and learn new things, all while having a lot of fun. There are after-school pursuits from 16h20 each weekday, with something to suit every interest – from sports to creativity. Taking advantage of our brand new multi-purpose hall and gymnasium, sports offered include volleyball, basketball, football, unihockey, trampolining, streetdance, zumba and badminton, with pilates, spinning, yoga, swimming and tennis also available. 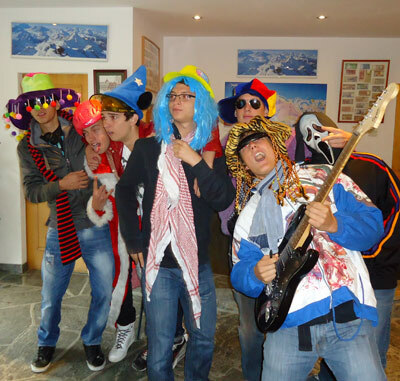 On stage, Brillantmont rock band, drama club and vocal group let their creative juices flow. Look at the YouTube video of one of the performances. of hundreds of students as students defend the positions of their designated country, through debates. Brillantmont’s commitment to Habitat for Humanity confronts students with social inequality and the building project enables them to actively make a difference to others’ lives through concrete actions. 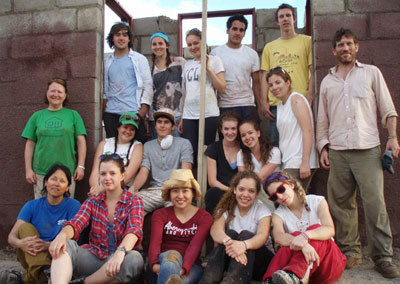 At Easter 2013, a group of students will join a house-building programme in Cambodia.